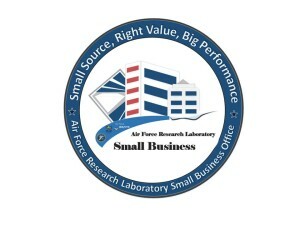 The Air Force Research Laboratory’s Small Business Office (AFRL/SB) posted an updated fact sheet in December. The mission of AFRL/SB is to “increase the use of small businesses as a valued source of skills for innovative, cost-effective, customer-focused solutions to warfighter requirements and Air Force missions, both now and in the future. ” The posting is linked below and contains great resources for small businesses as well. It has been a few years since we last communicated regarding the work by BlacklightPower, Inc. and much has happened. I retired from ARA a year ago and am now consulting with BLP. Since we last communicated they have moved on from fuel cells to solid fuels which in the last three years has developed into a viable technology for electrical power generation. They are now in the process of commercialization of 125 kW electrical power units with field trials scheduled for first half CY 2017 and deployment of units into commercial markets last half CY 2017. I submitted a White Paper to AFCEC Energy Directorate for information purposes only which provides for development of 250 kW units for Air Force Expeditionary and Contingency Basing. We are also talking with Naval Sea Systems Command and this technology has attracted considerable attention concerning power for shipboard weapon systems. They also recognize the potential for naval vessel primary power. We also have the interest of a contact at NAWC. Now all of this is primarily to bring you up to date on where we are. I would be glad to provide additional information such as a generic white paper that describes general capabilities and potential applications. Their website (see below-they changed their name) provides a good summary of current progress and business plans. Please feel free to pass this information on as you see fit. One favor however if you don’t mind, I would like to get a contact within AFRL Propulsion Directorate. My apologies but I am just now seeing this message you left on the AFRLSBHub.com site – I forwarded over your message to Mr. Harrison.